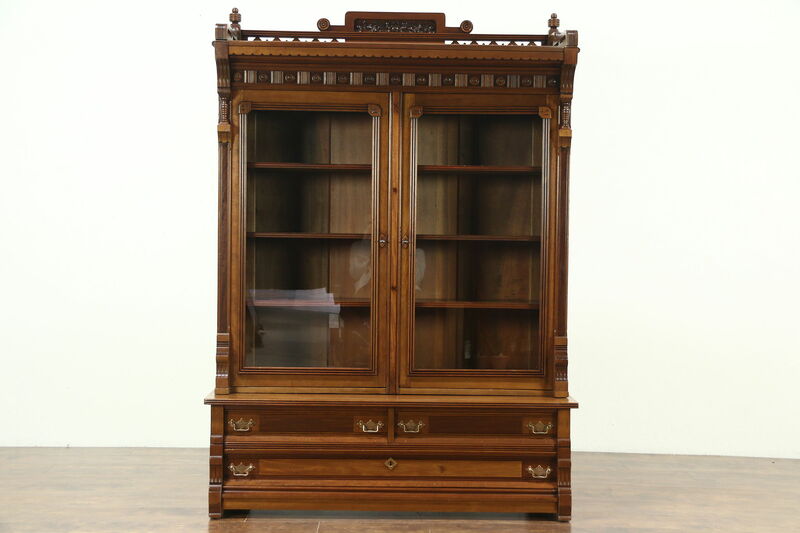 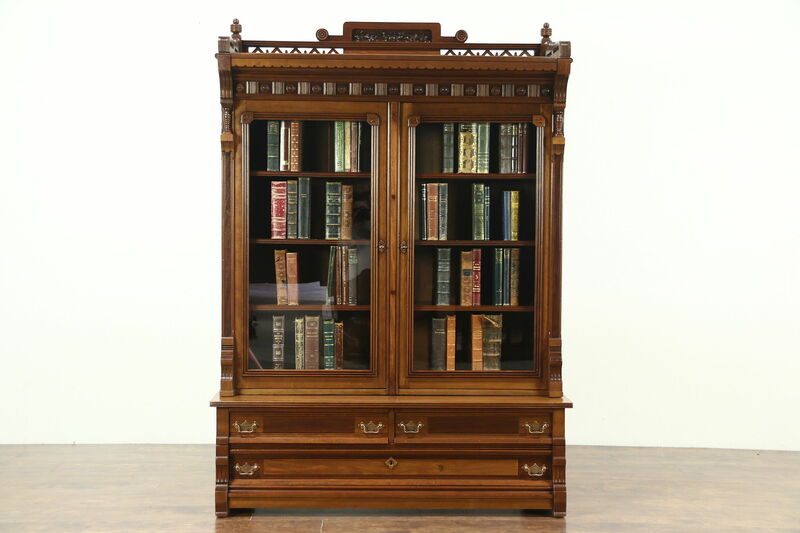 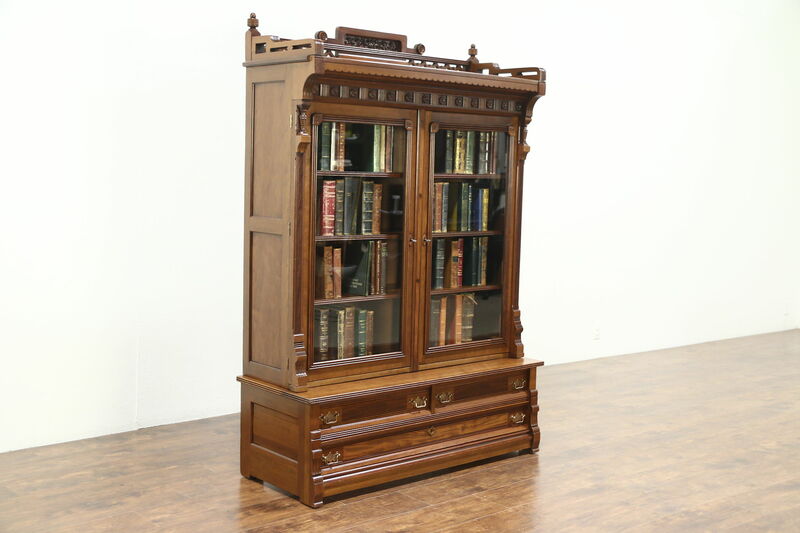 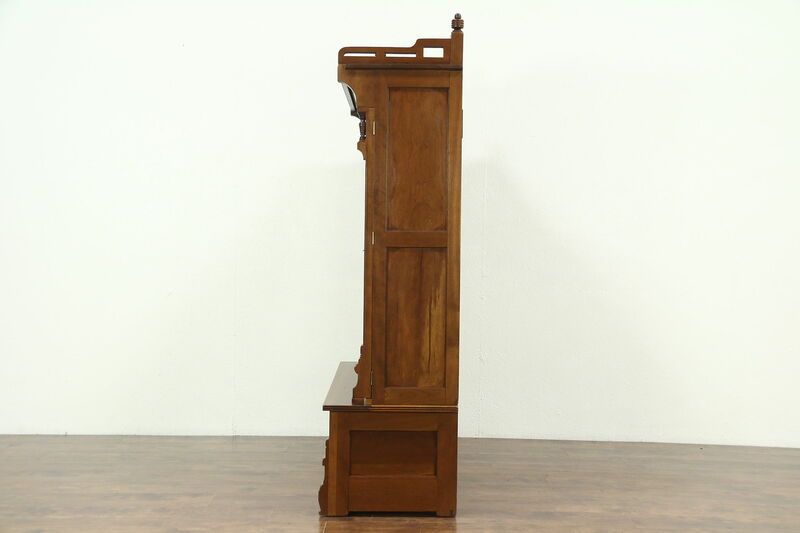 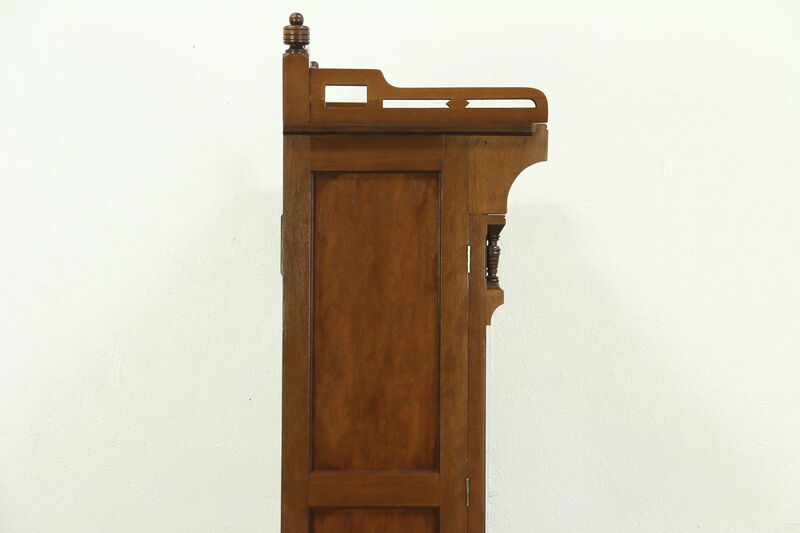 A late Victorian or Eastlake period bookcase from about 1880 was carved of solid cherry with mahogany panels. 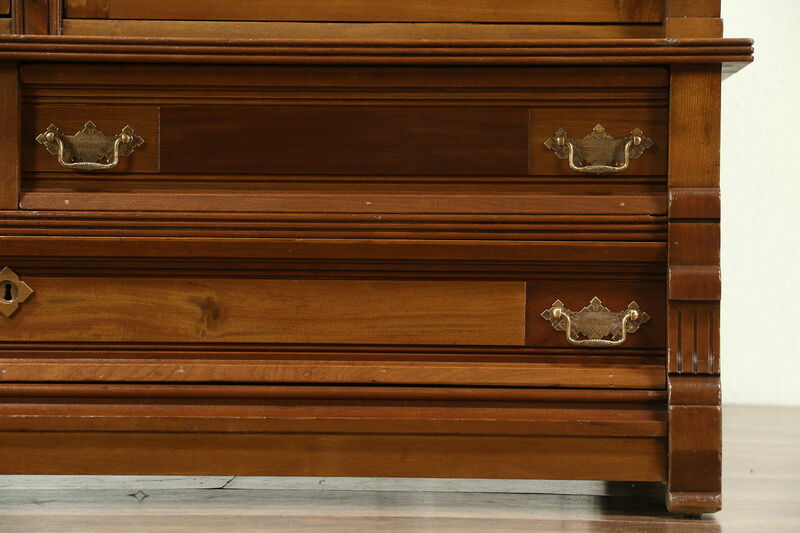 The restored finish is in excellent condition, preserving just enough mars and wear for a little antique character. 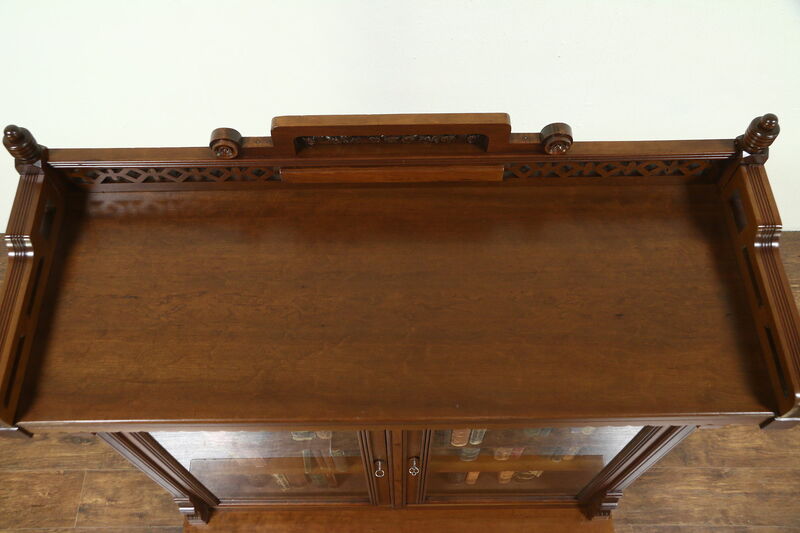 Shelves are adjustable, glass doors have working locks. 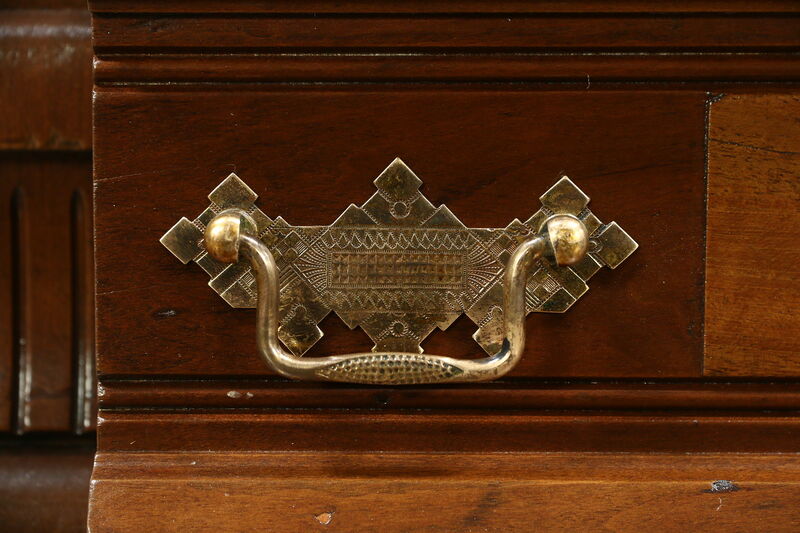 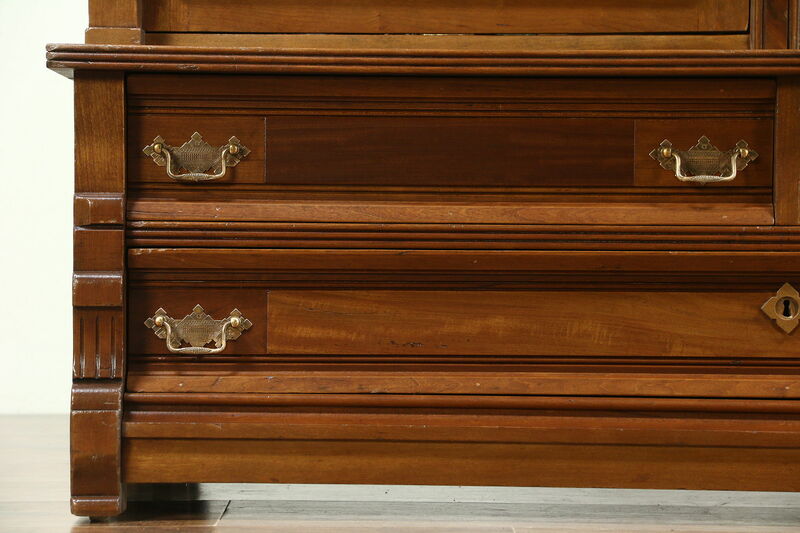 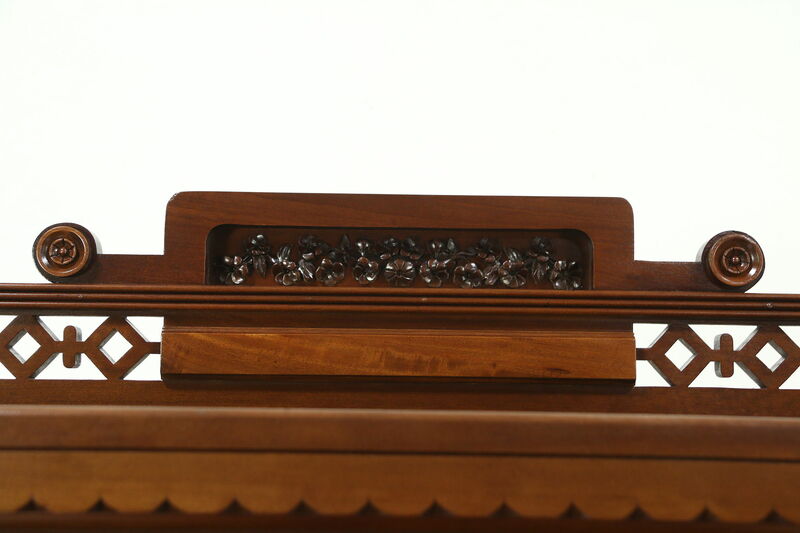 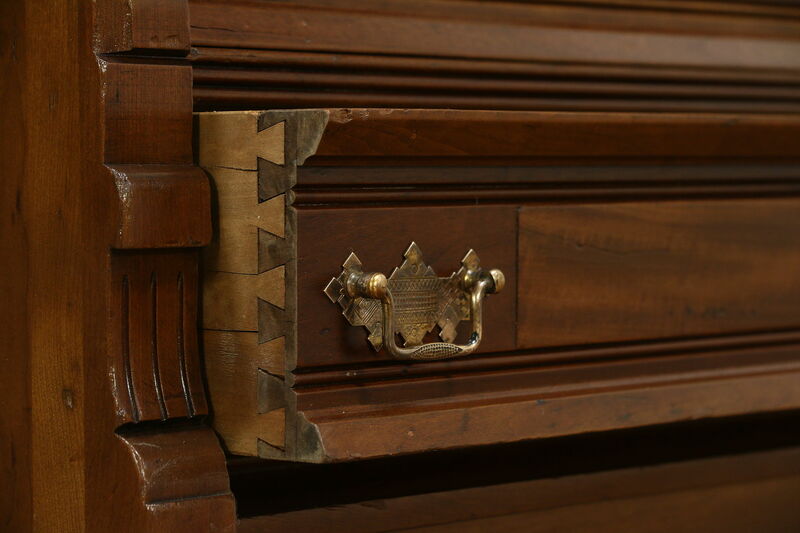 Drawers have dovetailed joints and original engraved rosy brass pulls. 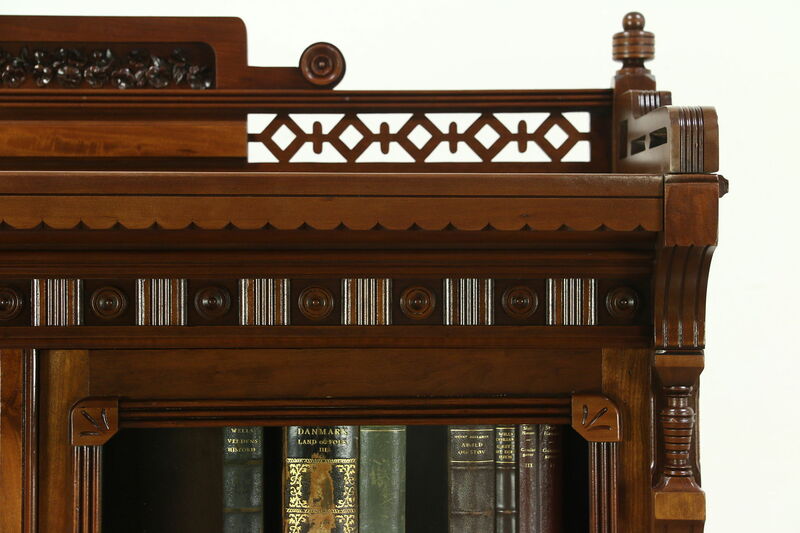 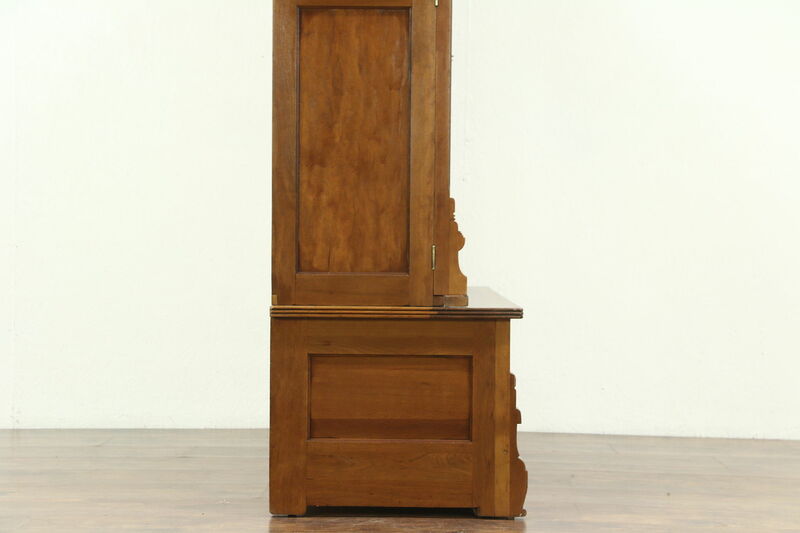 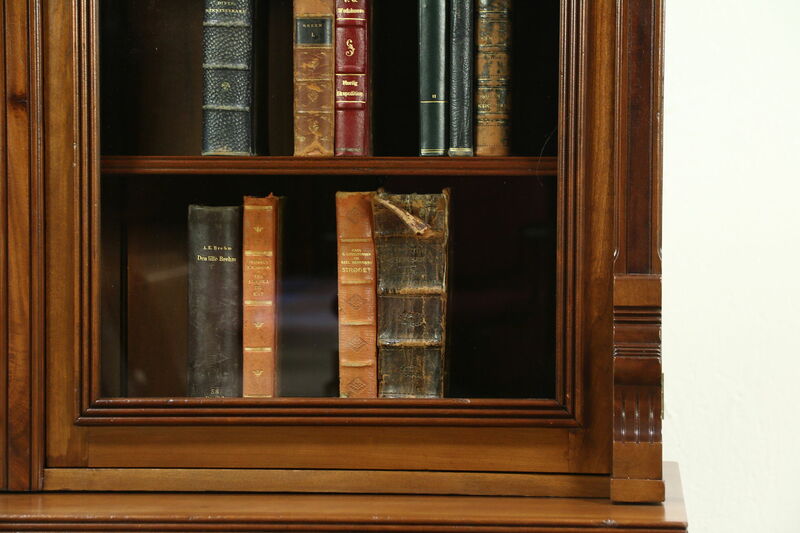 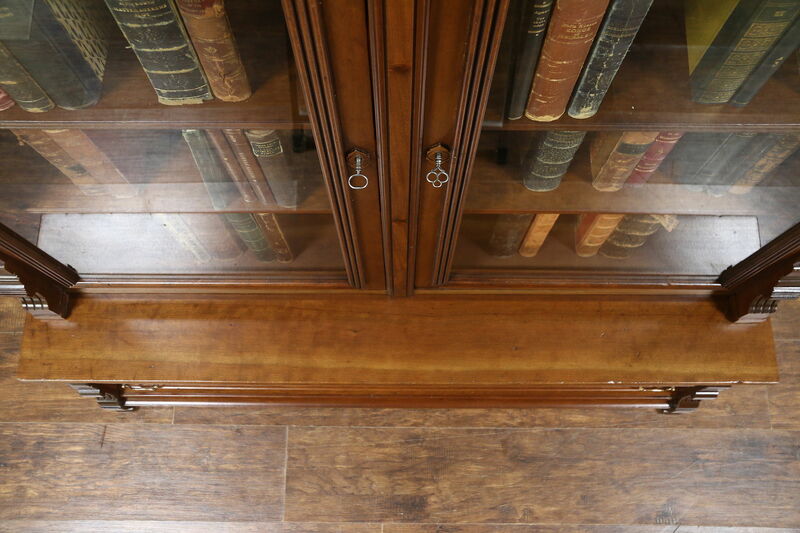 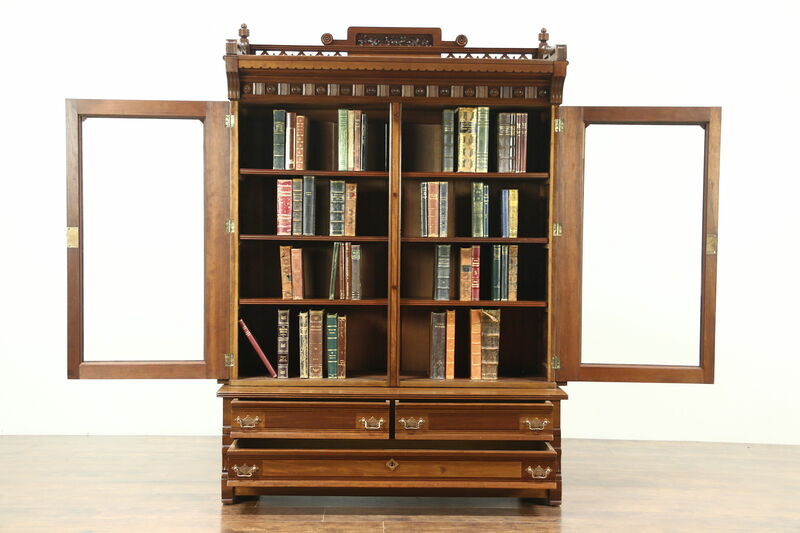 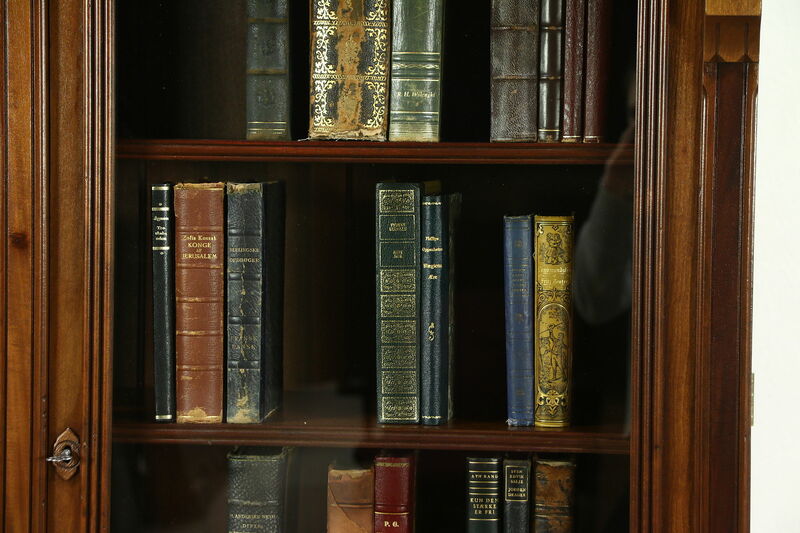 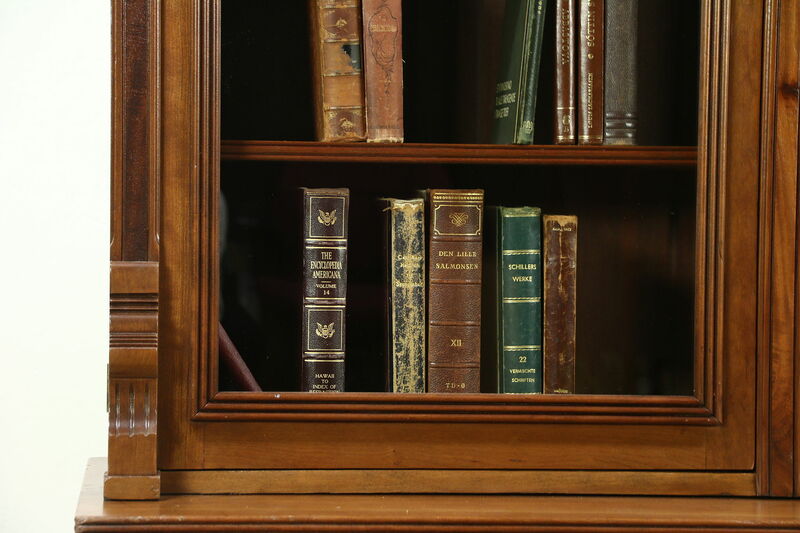 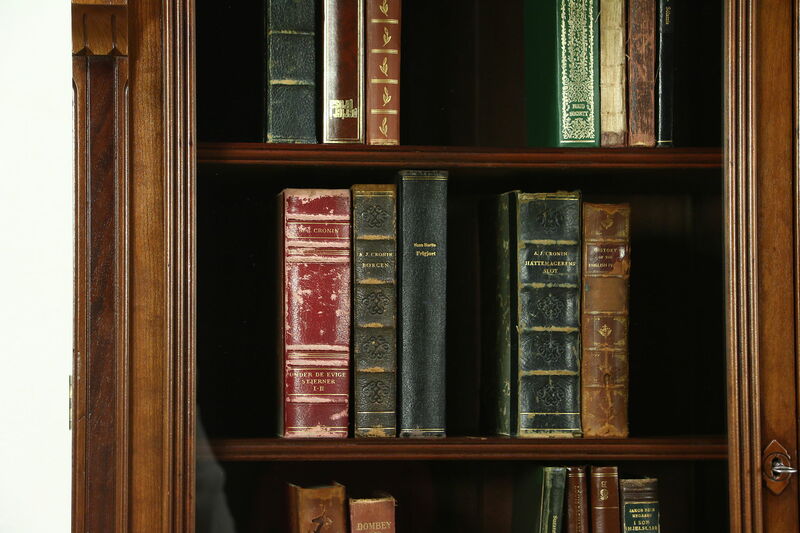 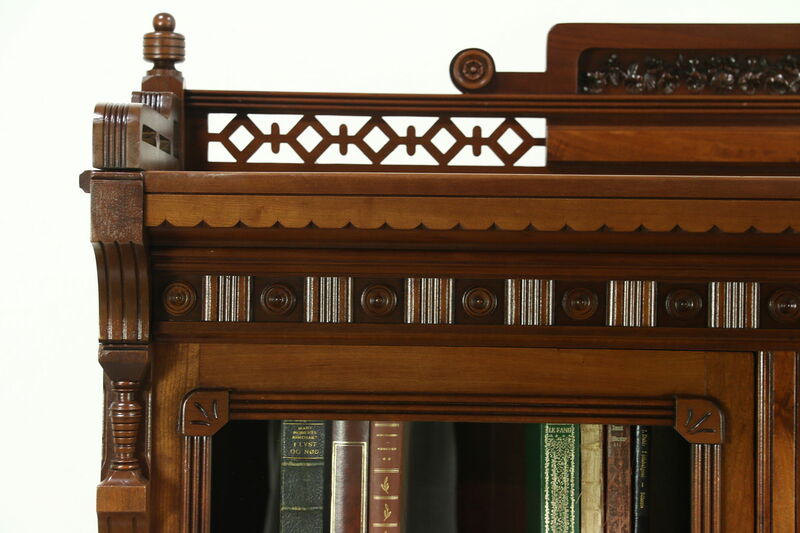 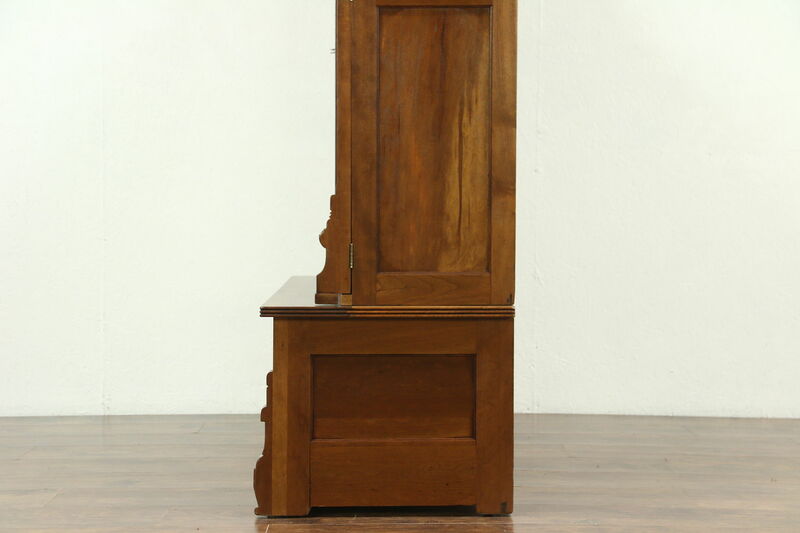 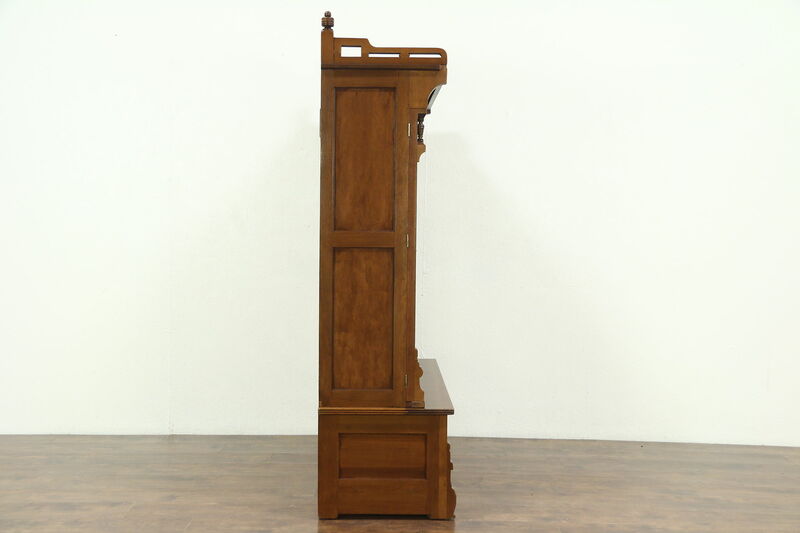 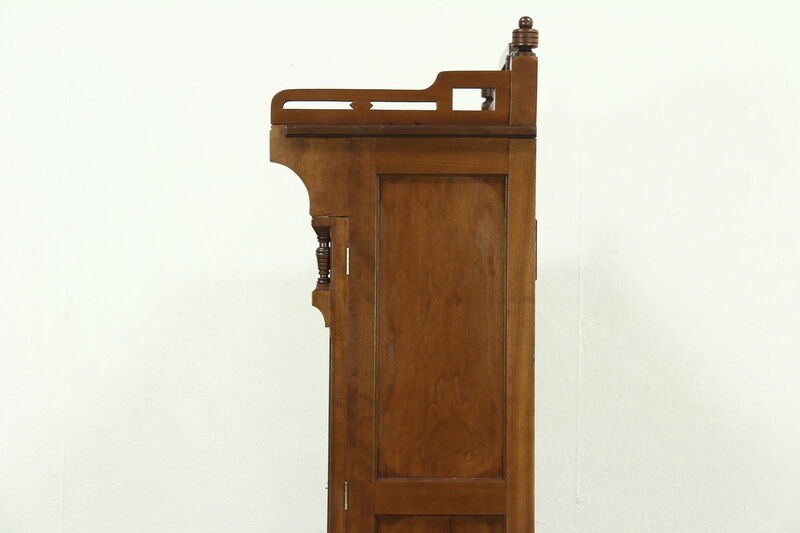 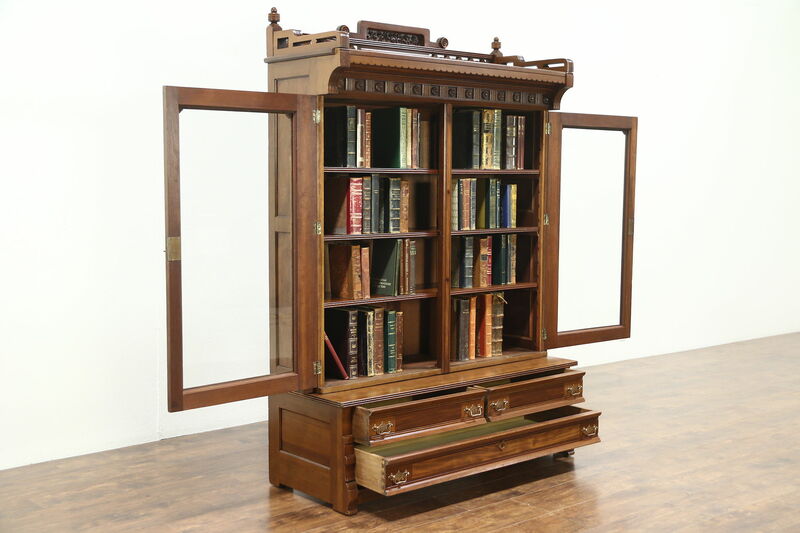 The gallery has carved detailing on this American made antique library furniture. 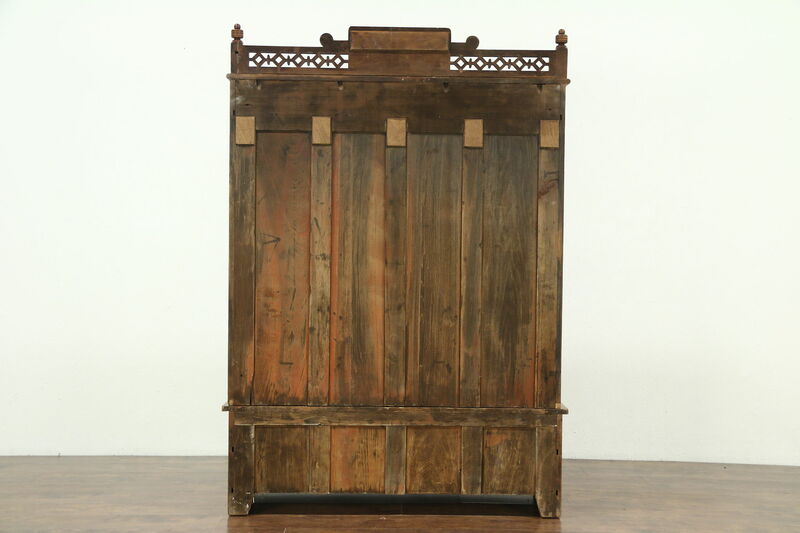 Dimensions are 50" wide, 19" deep and 70" tall.